If it wasn't for the presence of that pesky Optimum Motorsport Audi R8 LMS, then Nigel Hudson's Aston Martin Racing's V12 Vantage GT3 would have had a clean sweep of round two of the GT Cup Championship from Brands Hatch - or so they say! Having enjoyed a cracking start to the 2018 Championship at Donington Park last month, the Hudson/Adam Wilcox combo enjoyed a win and two second places with their JMH prepared car and were obviously hoping that Brands Hatch would permit them to improve upon that performance but that plan hadn't figured on Optimum Motorsport entering their GT Open car as a one off to help the development of their two drivers in that championship. Such was the dominance of the #96 Audi that they scored the best time in all track sessions except for not being on pole for the start of Race 2 on Saturday. 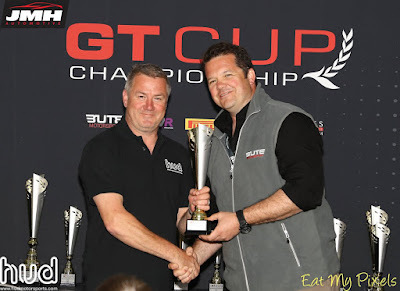 With the rules requiring Hudson (Am) to race alone in the first two races of the event on Saturday, he transposed a P4 start to the race to a P2 finish in a shortened first race due to a nasty looking incident with a back marker getting nailed from behind by a faster McLaren which necessitated a red flag. For race 2, Hudson started from P3 on the grid before earning himself another P2 finish (behind the Audi) at the end of that 25 minute race but some 23 seconds back. 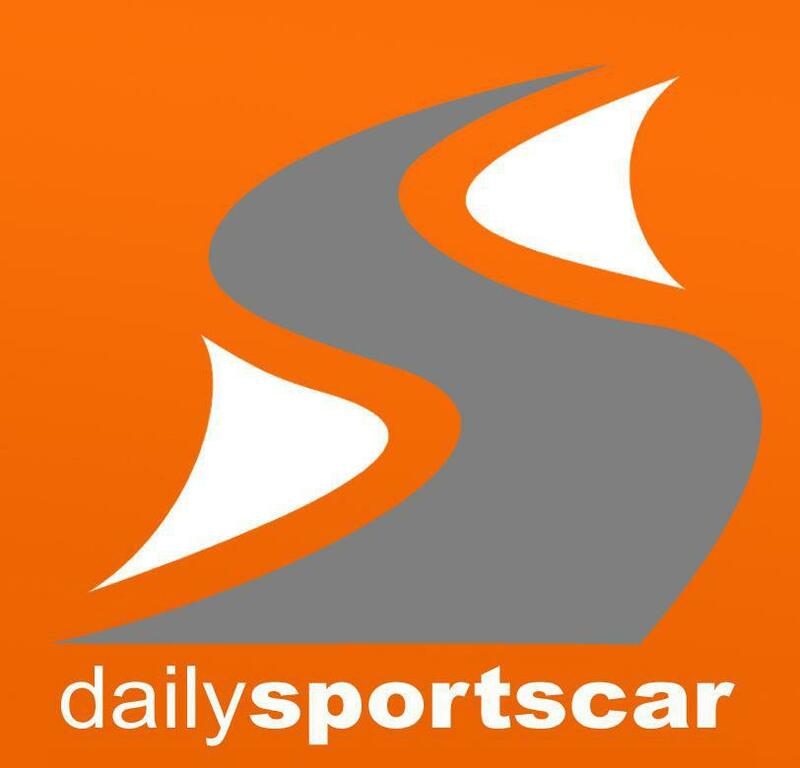 Sunday's race of course allowed the inclusion of the teams' professional drivers and Wilcox was sure that he could match the pace of the #96 Audi if the team could resolve their apparent (soft) brake issue. They would finishing morning warm up and Qualifying in P2. 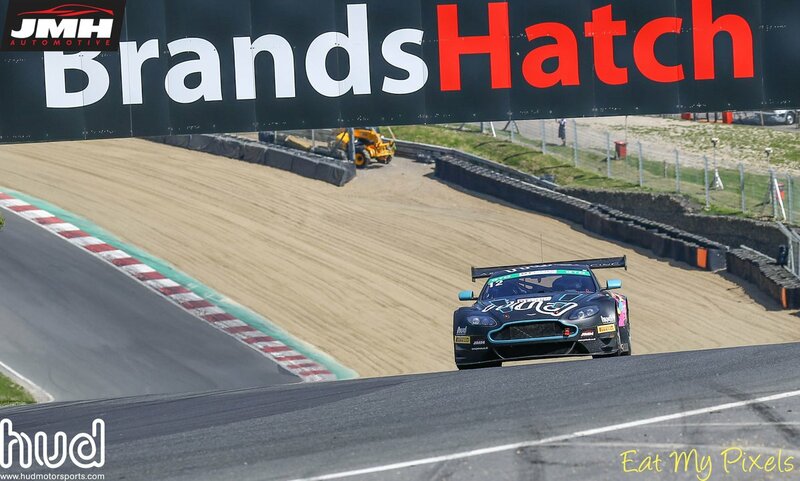 With the #96 car again soon making its escape up the track from the off, the #12 Hud Motorsport car found itself having to fend off the attentions of the yellow FF Corse 488 Challenge car with both cars pitting together at the half way point. By this point the gap from 1st to second was already 22 seconds so it was again just a question of the next two steps of the podium. After that point, the power differences between the GTO class Aston and the GTC class Ferrari, despite the Pro drivers now aboard, allowed Wilcox to move comfortably away from the Ferrari to end the race nearly a lap ahead. 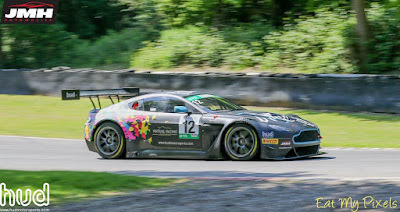 Overall, that result would be the team's third - second place of the meeting which, in the absence of any official confirmation, should place the #12 car at the head of the GTO Class as the championship's annual pilgrimage to Spa Francorchamps in early June. 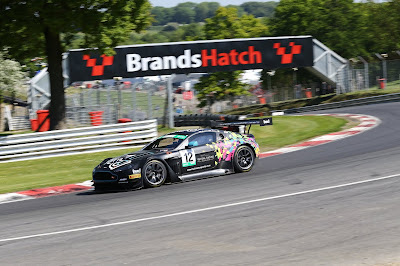 For the Chris Murphy/Adam Hatfield pairing - their Brands Hatch event was aboard a Team Hard Ginetta GT55 GT4 as their normal Aston Martin Racing GT4 was extensively damaged during a test for the Britcar Endurance Championship last week. 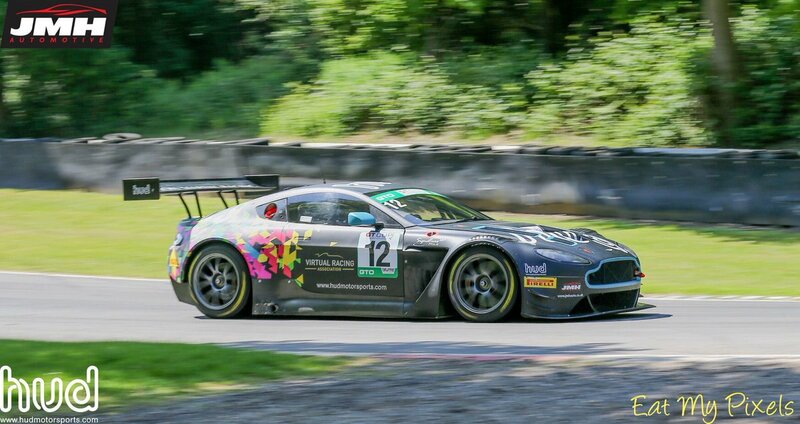 The other Aston runner at Brands was the Ultimate Speed prepared V12 Vantage GT3 for Mike Brown and Paul Cripps as they used the event to prepare themselves for the forthcoming Aston Martin Racing Festival at Le Mans next month.